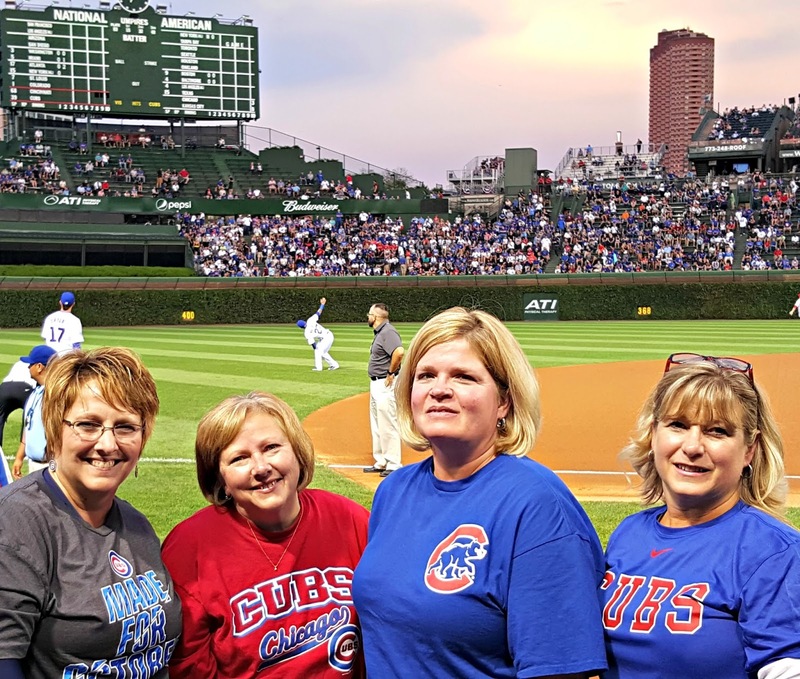 In Part 1 of this Chicago Road Trip, I shared with you all the great places Ms. Wanda, Ms. Kathy, Ms Kim, and I saw just within walking distant of our wonderful room at the Waldorf Astoria, but the BIG BUCKET LIST check off came later that evening. Ms. Kim was the one who requested me to make this trip happen because she had NEVER been to a professional ballpark to watch a professional baseball game! It sounds crazy, especially when we can go west, east, and north and be in one of three MLB parks within three hours! Come to find out, Ms Wanda was just like Ms. Kim: no professional baseball experience to claim! 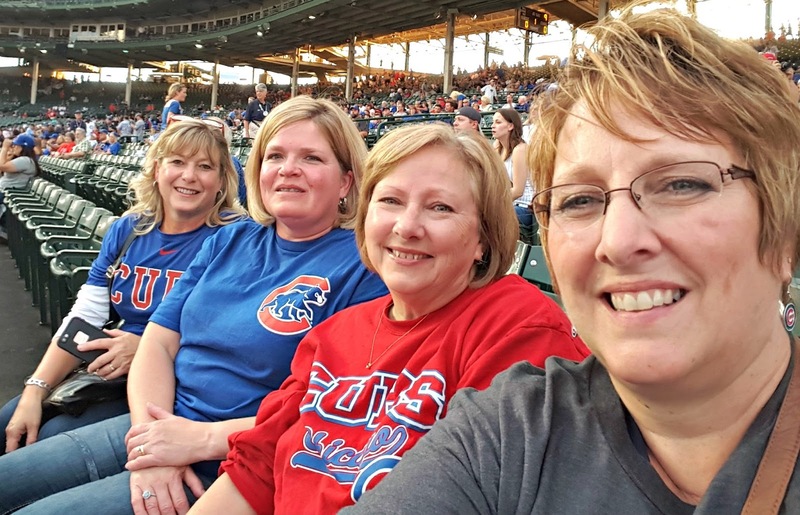 Now Ms. Kathy and I have seen our fair share of games at Wrigley, but this would be our first NIGHT game, so our Bucket List was going to become one item shorter too! When planning for this trip, I was able to find tickets on a site called VividSeats. I found four seats in Box 11, Row 6, and the total price was $168.00 per ticket. You cannot imagine how excited I was to score those tickets! I've never sat that close to the field, just 6 rows from third base and very close to the Cubs' dugout! Wooo to the Hooo! I was a bit anxious that I would not receive my downloadable tickets until just few days before the game, but they showed up right on time and printed off without a hitch. Want to know something? 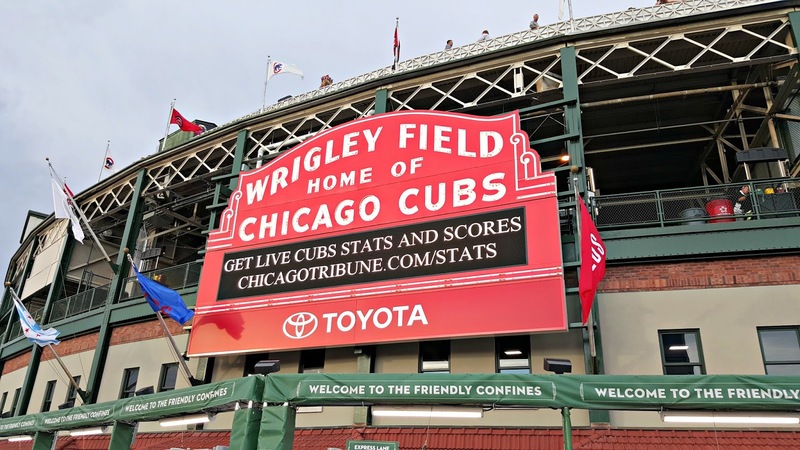 Tickets for those same seats for today's game are running around $1,700.00 per seat before all the taxes, AND for World Series Game # 3, they are running $10,000.00!!!! I'm thinking we can all gather at my house, eat well, drink well, and have a most excellent time for that kind of Moola! 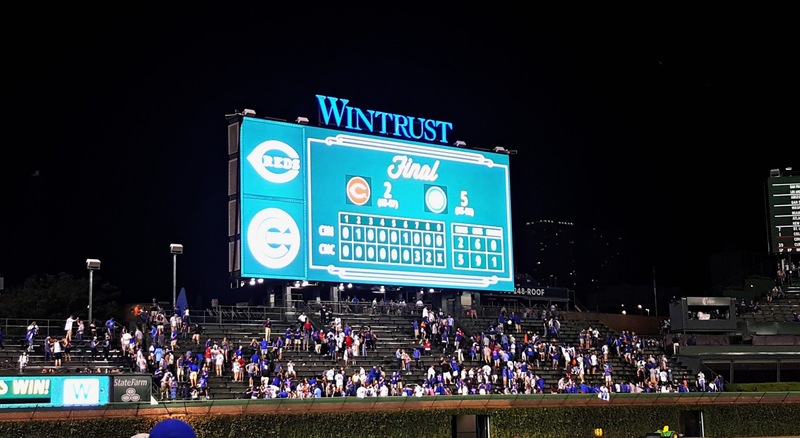 But there is still a rather big bit of Cubby Nation Wild and Crazy Fan in me to want to be there! Now we had our tickets, our place to stay......next challenge was to find a way to get to the game. 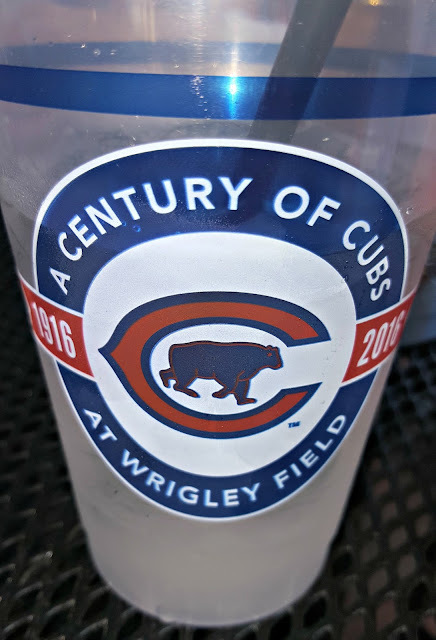 My nephew Josh, who has been to sooooo many Cub games told me all the down-low, what-to-know stuff, and suggested we try Uber, and that's what we were going to do when our very competent concierge said we would be fine to take the "L" to Wrigley. This was another new experience for the girls. I've been on London's Tube and Paris' Metro, so I knew how to read all the stop maps, but there was a bit of a learning curve. Best rule as we got closer to the field and picked up more Cub fans, obvious with all their Cubby bling and swag, was to get off when the rest of the fans got off the train. We only had to go four stops, but that was still a ways up to the northside. We did great going up, but it was an entirely different experience coming home. Thousands of people trying to all get on the same train.....For this claustrophobic, there were many deep breaths, and what I breathed in wasn't always the "best" air. We made it with a bit of humor and patience safe and sound to our room, but ACK! We haven't talked about the game yet! 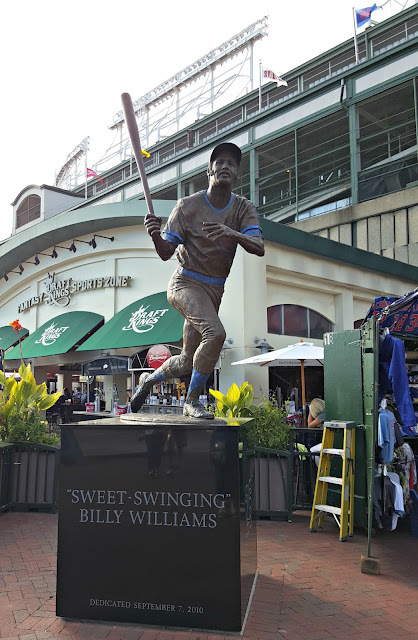 And of course, Mr. Cub himself, "Let's Play Two!" #14 Ernie Banks!!!!! I listened to them all play on WGN as a little girl, and on rare occasions watched them on WGN too. Here we are in our seats and hanging out by the field. 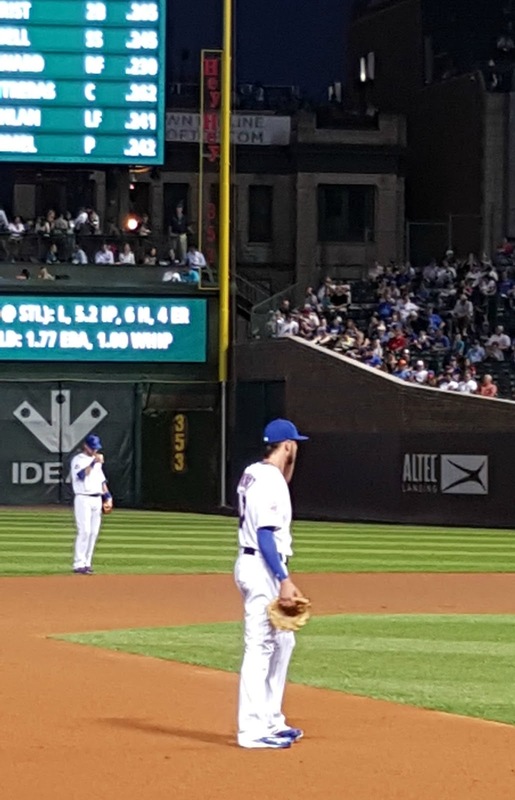 And you all know what Cub plays third base right? Kris Bryant! Google him to get a great shot at those baby blues he has. Oo la la! We won! So it was a perfect night for all Cubbie fans!!! !